Are you nervous about the imminent Fourth Industrial Revolution? After all, each industrial revolution has resulted in the displacement of workers through automated or industrialized processes. But history shows that short-term displacements were balanced by economic advances, proving that industries—and their workers—can adapt and evolve to succeed. 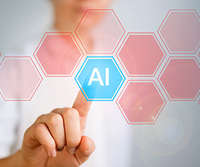 How will AI in all its variations—from customer-facing chatbots to ROI-driving predictive analytics[—influence and transform the Communications Industry? Download “The Rise of AI and How it Will Impact Communications Professionals: A LexisNexis Media Intelligence eBook” to find out. Petrucci contends that Artificial Intelligence—in its many forms—has the potential for “enhancing, supporting and amplifying human truth, human experience and, ultimately, human freedom.” Sounds like a tall order, but we agree that AI represents untapped potential within corporate communications. With predictive analytics, the digital landscape can be mapped and evaluated in real time for up-to-the-minute trend assessments, allowing companies to make informed, strategic decisions about anything from marketing campaigns to product development. Marketing automation—which only scratches the surface of AI’s potential—already delivers better metrics related to the ROI of corporate communications, PR and marketing. Imagine the insights you can unlock when those metrics are informed through deep learning algorithms. AI will power micro-targeting and hyper-personalization, enabling communications leaders to improve content relevance in all types of outreach. We’ve all experienced the challenge of having to “do more with less.” Rather than seeing AI as a threat to your job, it should be recognized as a time-saver, freeing you up to focus on the message instead of the metrics. Are you curious about AI applications for Corporate Communications? Check out our eBook, “The Rise of AI and How it Will Impact Communications Professionals: A LexisNexis Media Intelligence eBook,” to learn more about different types of AI already driving insight and what the future may hold.